There is was a time when Jose Aldo was overrated. 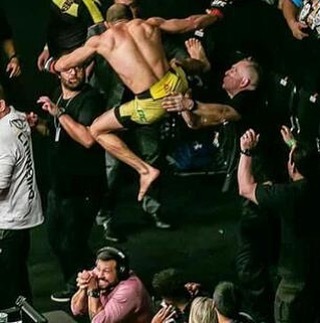 Looking back on it, Jose Aldo now may now be vastly underrated. We already hear you on 13 seconds, but Aldo still may seriously be in the discussion for MMA’s featherweight GOAT. Conor McGregor and Max Holloway fans just spit put their apple juice at the mere thought. To keep it simple, Mystic Mac simply never competed enough at 145 pounds long enough to warrant the crown. Heavy is the head that wears the GOAT crown and Mac ran off to chase other things after he beat Aldo in 13 seconds. Yes, 13 seconds. It’s coming up on four years since that fateful night in December of 2015, but what if the UFC ran it back? Not at 155 pounds. Not for any titles. Aldo vs. McGregor live from an outdoor venue in Brazil, Madison Square Garden, or Super Calo’s venue of choice Croke Park in Ireland. What would Joey Diaz do? 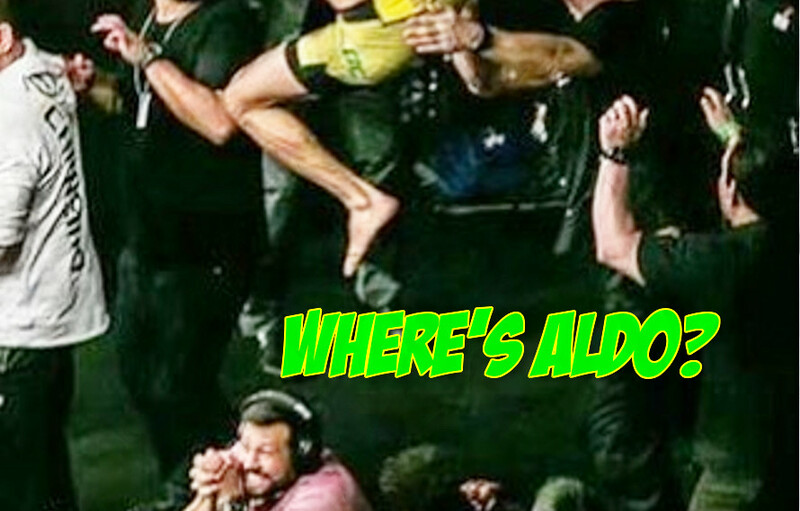 Have some fun with the last half of Jose Aldo’s career. Which brings us to Holloway. For the past four years Mad Max has blessed the featherweight division. The thing Aldo held that crown for six years. Max is on that GOAT path, he just needs to kick the can for 24 more months before Aldo gives it up. And yeah those two wins Max holds over Jose make it tough. But, hey what’s wrong with being the second best ever? For now let’s all appreciate the career of Scarface and look at this perfect moment in time captured below. Aldo picks up his 28th career win, defeats Renato Moicano, in front of a Brazilian crowd and then hops out the cage plus leaps over the Brazilian announce team desk.